This multi-part series aims to explore various facets of Bosnian migration to Germany and to present the personal accounts of migrants and their children in an effort to not only reflect on the shared experiences of Bosnian migrants, but to also consider the wider themes and implications of their stories. Germany is home to one of the largest Bosnian diaspora populations in the world, which is representative of various waves of migration to Germany that include migrants who arrived during Yugoslav times, former refugees who have since integrated into German society, and more recent economic migrants who seek new opportunities in Germany’s stable economy. As a whole, Bosnians living in Germany are generally well educated, with those who have not completed their basic high school education representing just over 10% of the population. Approximately 30% of the population has some sort of professional qualifications and around 10,000 individuals, all with direct migration experience, have completed their Master’s degrees in Germany. It is thus plausible to conclude that Bosnians are active in their pursuit of the various educational opportunities offered in Germany and will likely continue to seek out such opportunities in even higher numbers in the second generation. Similar to other countries with high numbers of Bosnian diaspora, there is a multitude of diaspora organizations in Germany, including religious and ethnically-based organizations, women’s groups, young professional and student groups, and associations established during the Yugoslav period for guest workers and their families. Berlin and Stuttgart both have large Bosnian Muslim (Bosniak) populations and are, thus, both home to Islamic community centers that serve as central pillars to their respective communities. Many of these centers were established as religious centers by guest workers and refugees within a few years of the beginning of the armed conflict in Bosnia and Herzegovina (BiH) in 1992. Some of these Bosniak communities are also actively involved in the wider world of migrant resettlement and migration politics, often promoting more moderate versions of Islam and the religion’s coexistence with other facets of German society. Furthermore, Croatian and Serbian diaspora organizations have been formed in other cities across the country. Many Bosnian Croats and Serbs have often become members of such associations. During the conflicts of 1990s, many members of the Yugoslav diaspora formed associations that were splintered along national lines with Bosnian organizations often catering to refugee populations from one of the country’s three constituent ethnic groups: Bosniak, Croat, or Serb. Although these organizations may not be officially multiethnic, several stand out for their work with both those who arrived during the 1990s as well as with new migrant populations, many of which are from countries outside of Europe. The SüdOst Center, or “südost Europa Kultur e.V.” was established by Bosiljka Schedlich, a Croatian-born, naturalized German who considers herself a Yugoslav. The organization, headquartered in Berlin, focuses on the integration of migrants and refugees through counseling, education, and employment. The SüdOst Center also promoted peace during the 1992 – 1995 conflict in BiH and served as a meeting space where refugees could come together, network, learn German, and support each other. Another non-profit organization, established by Sadija Klepo, a Bosnian woman who arrived in Germany during Bosnian conflict, is Hilfe von Mensch zu Mensch e.V., which advocates for migrant rights in Munich and beyond. Both organizations were instrumental in organizing donation drives to send humanitarian aid and to help those in need during the conflict period. 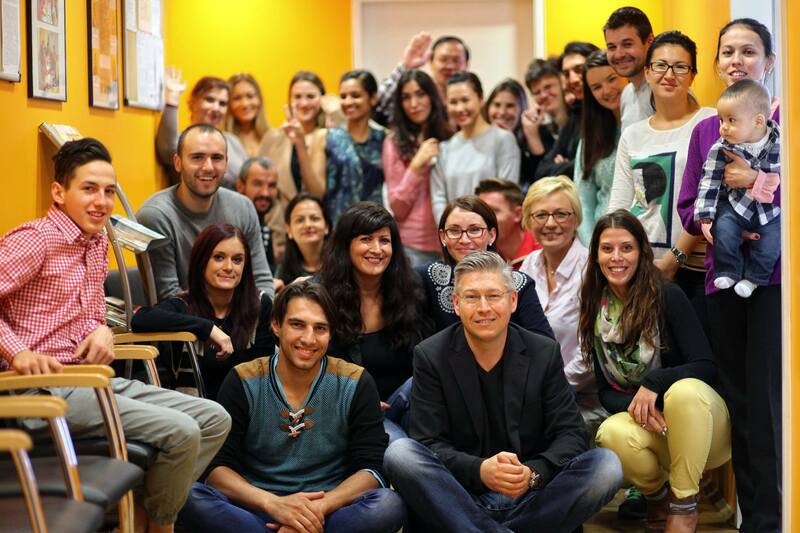 There are a number of other diaspora organizations and clubs in Germany focused on promoting and creating networking opportunities for migrants and second-generation Bosnians. 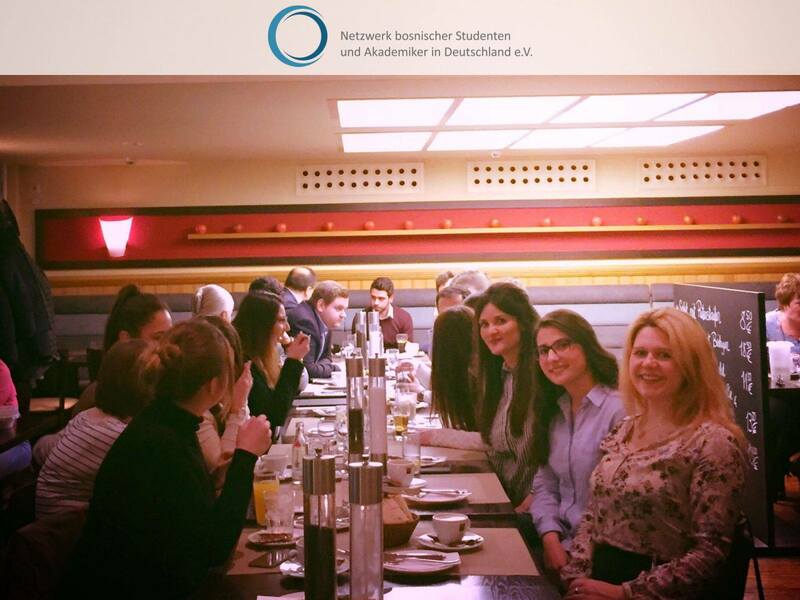 The recently established Netzwerk bosnischer Studenten und Akademiker in Deutschland e.V., for instance, brings together young professionals and academics as a way to strengthen the sense of community and provide a space for expanding academic, cultural, and professional networks. This particular initiative shows great potential for bringing together a fragmented diaspora population, a goal that has yet to be accomplished. The organization also regularly publishes a bilingual magazine that highlights the stories of successful Bosnian-Germans and presents news about politics, economics and culture from BiH. Many members of Germany’s Bosnian diaspora population are also actively involved in supplementary school education, which is part of an ongoing tradition that started with Yugoslav government-sponsored schools for children of guest workers. These schools are coupled with a somewhat contested history, which has emerged due to the varied implementation styles that have been carried out across the Länder, (German provinces). In Bavaria, for instance, a model prevailed that provided education to students in their native language. German language instruction was limited, and integrating migrant students with German pupils was not a central focus. In Berlin, however, integration was a primary goal and instruction focused on providing skills and tools for transition. Such programs also offered intensive German language courses with the aim to integrate students into the German education system as quickly as possible. Between 1992 and 1995, Bosnian refugees also organized school programs in the hopes that their children would be able to continue their education upon returning to their home country. In this type of school, refugees who had formerly been teachers served as the instructors and students received diplomas equivalent to those issued in BiH. Today, educational programs for migrant and refugee children have further evolved. All children are enrolled in the German education system, but parents also have the option to enroll their children in supplementary schools. These supplementary programs are organized under the auspices of an umbrella organization headquartered in Stuttgart, which also advocates for increased access to and from BiH institutions in an effort to maintain Bosnian language and heritage. The Bosnian diaspora population in Germany is not only diverse but also vibrant and full of potential to contribute to both Germany and BiH. Members of this population span generations, ethnicities, and education levels as well as the professional spectrum – from hospitality and tourism to successful entrepreneurs and high-level managers in internationally renowned firms. There are even those who have sought or held political office. Although their diverse nature makes it difficult to present any overarching statements about the group as a whole, a common thread continues to tie members of the Bosnian diaspora together and that is their ongoing connection to their country of origin. Whether they make regular visits to the country, maintain spiritual connections, or cultivate close ties with members of their social and professional circles, they remain a crucial part of keeping the bilateral relations between Germany and BiH strong. The “Crossing Borders” series has been produced as part of an Intercultural Innovation Award alumni partnership between the Post-Conflict Research Center and Give Something Back to Berlin. Support for this series has been provided by the United Nations Alliance of Civilization (UNAOC) and the BMW Group. Written by: Dženeta Karabegović, with translation by Sofia Fabiancic. Dženeta Karabegović’s wider research interests are rooted in international and comparative politics with a particular focus on trans-nationalism, diaspora, migration, democratization, human rights, transitional justice, and the Balkans. She holds a PhD in Politics and International Studies from the University of Warwick, UK. Her academic work has been published in multiple peer-reviewed academic journals and she is currently working on both article and book length projects. She is an Assistant Professor at the International Burch University and the Sarajevo School for Science and Technology and works as a Program Consultant for the Post-Conflict Research Center. Previously, she was a Guest Researcher at Mid-Sweden University’s Forum for Gender Studies and a Visiting Scholar at the Harriman Institute at Columbia University. She was a U.S. Fulbright Fellow at the Hugo Valentin Centre at Uppsala University in Sweden, holds an M.A. in International Relations from the University of Chicago, and completed her B.A. (Hons) at the University of Vermont in Political Science and German with a Holocaust Studies minor. Dženeta was born in Banja Luka, BiH grew up in Germany and the United States, has lived in Sweden and England, and has recently returned to Sarajevo, BiH. Bevölkerung und Erwerbstätigkeit.” Statistisches Bundesamt (Destatis), 2017. Karabegović, Dženeta. “Bosnia Abroad: Transnational Diaspora Mobilization.” PhD Dissertation, University of Warwick, 2016. Rist, Ray C. 1979. “On the Education of Guest-Worker Children in Germany: A Comparative Study of Policies and Programs in Bavaria and Berlin.” The School Review 87 (3): 242–68. Diese mehrteilige Reihe soll verschiedene Aspekte der bosnischen Migration nach Deutschland untersuchen und die persönlichen Berichte von Migranten und ihren Kindern vorstellen, um nicht nur die gemeinsamen Erfahrungen bosnischer MigrantInnen zu reflektieren, sondern auch die breiteren Themen und Implikationen ihrer Geschichten zu berücksichtigen.